This is a fantastic 3 bed 2 bath condo in the gated community, Willow Ranch. The condo is on the ground floor and is in a somewhat private part of the complex. The condo is the closest unit to the garage and being a ground floor unit has far fewer stairs. It is lightly lived in and shows well. The kitchen, while functional and in pristine condition, could use an update. However, there are opportunities for the buyer to put in designer touches that suit their taste. 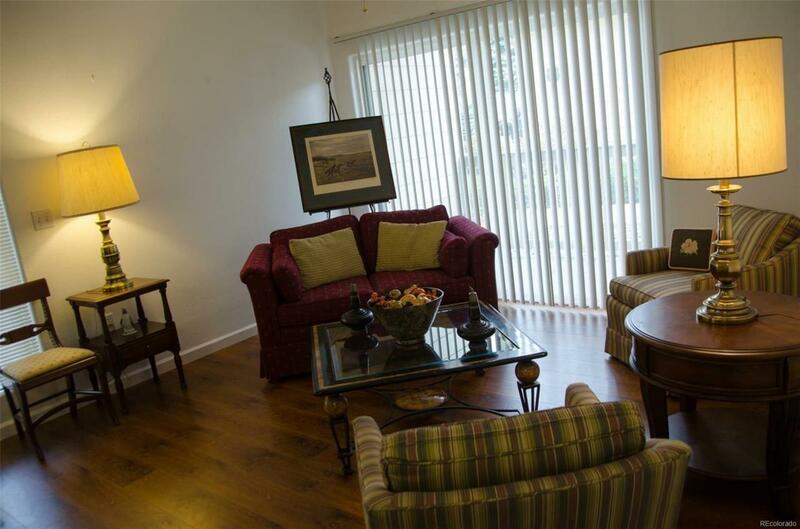 **** What this condo DOES HAVE is 1 of 4 of the large garages( 1 car garage but 305 Sq. Ft.) . Many of the units only have a reserved space and no garage and most of the others a much smaller garage. This garage allows for considerable storage, much easier parking, parking for a larger vehicle and easier access to the car. We have already received offers to purchase the garage. Great deal on the HOA with all the amenities- swimming pool, clubhouse and meticulous maintenance of the common area. Nice suburban location.